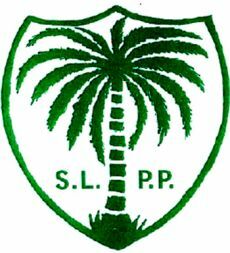 The Sierra Leone Peoples Party (SLPP) has been in a limbo for years since former Vice President Solom Berewa’s emergence as the flagbearer. The situation exacerbated in the year 2011 when Rtd. Brig. Julius Maada Bio was elected to succeed Berewa after the most expensive and competitive convention in the party’s history. 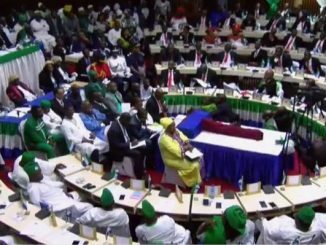 Since then, the main Sierra Leonean opposition has been in abrasive intraparty fracas. As we humbly recommended in one of our critical pieces in this column, the diaspora branches of the party seemed to have decided to champion the course of reconciliation and reunification after years of fragmentation. Below is a press release detailing minutes of the last reconciliation meeting held in the UK. 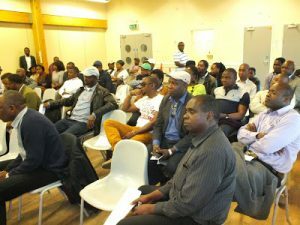 To brief the SLPP UK and Ireland membership on ongoing peace and reconciliation efforts by Bishop J.C Humper and other preeminent SLPP members of the Sierra Leone People’s Party. To communicate the need to support the efforts of the peace initiative through strategic advice and financial assistance to end the long political impasse within the SLPP. The meeting was briefed on progress to date, important lessons learned, and upcoming challenges in designing and preparing for a two-day “Family Dialogue and Reconciliation Conference” in Freetown which is one of the core recommendations from the investigative report produced by the Political Party Registration Commission (PPRC), following the complained filed by Ambassador Allie Bangura and other co-petitioner to the PPRC in 2013. 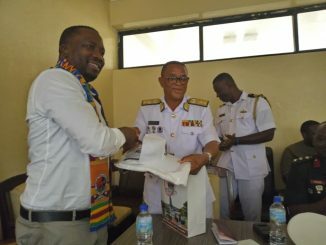 Mr. Jonathan Sandy provided an overview of all the ongoing efforts by PPRC, Dr. Alpha Wurie, Dr, Peter L Tucker, the Bishop Humper Technical Facilitation Team with support and reinforcement from the Campaign for National Unity-Sierra Leone (CNU-SL). 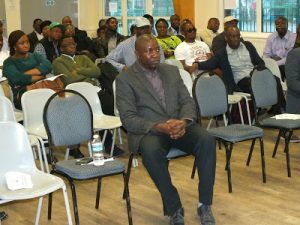 He emphasised that the SLPP motto of the “One Country, One People” has shifted dramatically from one of hope, to one of conflict, disunity, intolerance and mistrust, which has led to some members seeking redress through legal means. The meeting was also provided with details on the mandate of the Technical Facilitation Team (TFT) from the Sierra Leone Political Parties Registration Commission (PPRC). It was further noted, that the mediation and negotiation process currently taking place is aimed at translating the findings and recommendations from the conflict analysis previously carried out. Mr. Sandy emphasised that the main task and mandate of the Technical Facilitation Team (TFT) is to reinforce the PPRC and the National Party executive, in designing and preparing for the Family Dialogue and Reconciliation Conference. He added that the idea is for the TFT to work provide an enabling environment for senior party members, elders, parliamentarians, students and women representatives of the Sierra Leone Peoples Party to interact, discuss and begin the process of finding a political consensus and solution to resolving the current impasse with the SLPP. 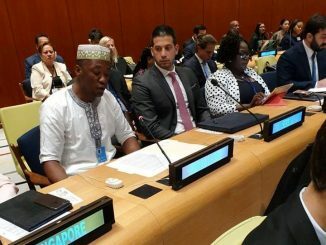 In terms of the expected outcome of the dialogue conference, the meeting noted that the conference is not only expected to lay a solid foundation for sustaining a “permanent dialogue and reconciliation framework” within the SLPP, but that, it will stimulate and engender mutual trust amongst its members, and empower the SLPP to again become a viable political party especially during this crucial time in the history of Sierra Leone. The meeting stressed and recognised the financial challenges faced by the TFT and PPRC to successfully organise the family dialogue conference. It was emphasised that it is, important for the Diaspora branches to scale up their support and work in partnership with the Bishop Humper Mediation team and the Campaign for National Unity-Sierra Leone, to raise funds for 220 minimum participants at the family dialogue conference. The meeting noted progress that have been made in light of the high level consultations with senior party officials and stakeholders, which has ensured a political consensus on the Terms of Reference of the TFT agreed and endorsed by all. The meeting also noted that part of the diaspora consultations is to seek the voices, views and opinions of the regional, district, constituency, zonal and diaspora to inculcate a sense of legitimacy ownership in the design process of the dialogue conference. Legal Issues: the need to ensure party constitutional provisions are adhered to by all stakeholders. The Rule of law must remain supreme; the needs to withdraw the two courts cases and follow a political dialogue and reconciliation process. Party Administration and Management Issues: There is absolute need for improving the relationship between the structures and organs of the party. Mr. Sandy underscored the need to establish a clear understand of the nature of the actors in the SLPP, for example, we need to separate the functions, roles and responsibilities between a political aspirant and party administrator/public servant. Financial and Resource mobilisation Outlook which is very weak with poor cash flow. Media and Communication issues which is presently fragmented, there is a need for a clear and coherent political communication strategy and public relations. The meeting reflected on recent national challenges that have emerged including but not limited to the Ebola crisis and its impact in delaying the facilitation of the Family Dialogue Conference. 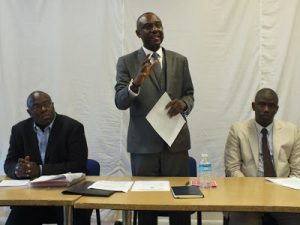 The meeting also observed that the expulsion of Ambassador Allie Bangura by NEC, suspension/expulsion of regional and district executives, requests for a court injunction for the national executive not to proceed with the conduct of lower tier elections have also hampered progress in the process of the design and preparation for an inclusive-dialogue conference. 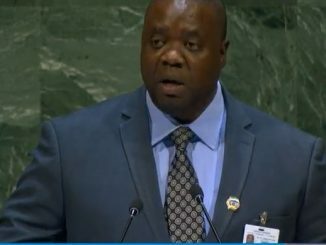 In his concluding remarks, following a question and answer session, Mr. Sandy stated that given the complex nature of some of these issues there is an urgent need to come together and sincerely engage in the noble act of reconciliation to create a “win-win” situation for all those involved. Mr. Jimmy Batilo Songa, Chairman SLPP United Kingdom and Ireland reaffirmed the SLPP United Kingdom and Ireland branch readiness to support the PPRC and Bishop Humper ongoing peace and reconciliation efforts within the SLPP. Chairman Songa also stated that the upcoming SLPP UK and Ireland Unity Dance in August this year will provide an excellent opportunity to support the peace and reconciliation initiative. In the meantime, the Chairman proposed to further discuss the branch contribution with the Council of Elders. We view this move as a positive step towards achieving a serious opposition and strengthening democracy in Sierra Leone. One of the most important points which is yet to be featured in the reconciliation agenda however, is the recognition of Dr. Kandeh Yumkella as a legitimate party member. If the Bishop Humper’s led negation team is going to forester true peace in SLPP, no one should be chased away or discriminated against in the interest of the other. Let the bygone be bygone for the sake of peace in Sierra Leone. We also suggest that the mediation team be expanded to comprise more stakeholders so that its final recommendations shall be respected and accepted by the grassroots voters.